 USB charging port can be connected with computer or power bank; Good for running, sporting, camping tent, office and study, outdoor, hiking. Strong Battery: This usb powered fan is rechargeable with 18650 rechargeable lithium battery(included),One fully charge (about 4 hours) can be used 2-6 hours, depends on its speed. 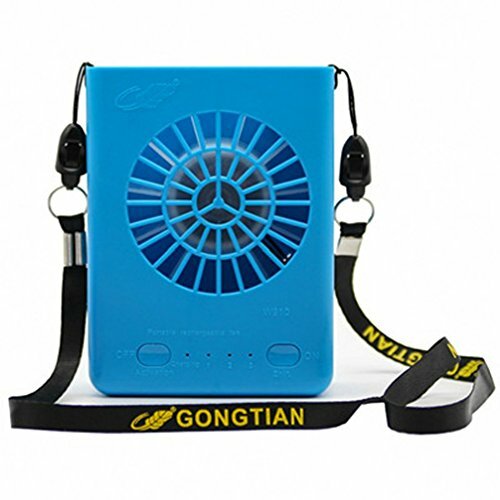 Portable Fan: The handheld fan with a neck string, you could hang it on your neck and free your hand.Portable size is convenient to carry, fit in handbag or backpack, take it to anywhere. Strong Airflow and low noise: 3 speeds modes (high, medium and low) of this personal fan offers you a strong and sufficient fresh air and 25% quieter than similar models. Tips: Pls NOTICE Avoid Overcharging, disconnect the power source when full charging. Keep the mini portable fans stay away from high temperature and the fire source. If you have any questions about this product by Beegoo, contact us by completing and submitting the form below. If you are looking for a specif part number, please include it with your message.